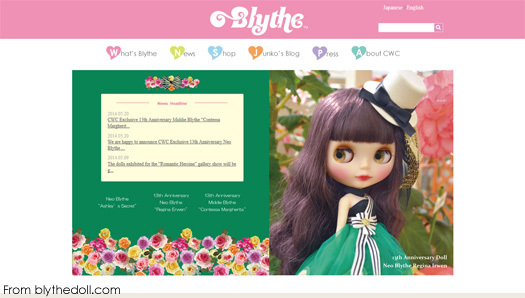 When it comes to new releases in the world of Blythe, it takes something with a bit of ‘wow’ factor to draw me in these days. 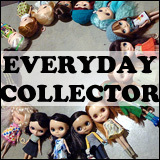 Maybe it’s because my doll family has grown to the point where I’m very happy with the mix, or because there’s just so many dolls and limited space that I’m forced to be more and more selective. Regardless of why it is, I have exactly zero anniversary dolls. I’ve been in the hobby since 2009, when Fashion Obsession Jenna came out. There were murmurs of displeasure that the anniversary doll was yet another blonde – at the time it seemed like every other doll being produced was a blonde. Marabelle Melody only intrigued me because she was released with a trio of skater superheros (I have both Simply Sparkly Spark and Simply Bubble Boom). Ten Happy Memories,while I appreciated the sentiment of having a trio of anniversary dolls (Neo, Middie and Petite), was lost on me. I just wasn’t interested. I think one of the anniversary dolls that I do actually regret not attempting to get was Red Delicious. I had the luxury of seeing one in person in late 2013 and she was gorgeous. But there is a lot of hair, and I already have a lot of dolls with a lot of hair. Allie Gabrielle was a yawn to me, until I saw photos out of the box. I’m not entirely sure who the CWC has taking their photos anymore, but more care could be taken to make the dolls look more attractive to potential buyers! And that leads us to Regina Erwen. Regina Erwen has some foiled chips, coloured eyelids, special lashes and, looking at the photos, it looks like she comes with some higher quality underpants than what some recent releases have come with! Unfortunately, I am just not drawn to her. Maybe it’s the fact that I’ve become more fickle with my dolly buying, or because I’m jaded from the quality of the dolls that I had unboxed last year. 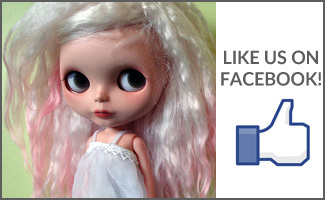 I’m not sure what it is, but I do not that I’m not particularly enamored enough with the doll to buy her. 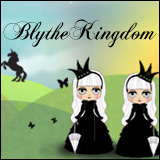 Or maybe it’s when I look back at older releases, I’m suddenly smacked in the face with the fact that newer anniversary (and regular) releases of Blythe just don’t come with as much stuff anymore. Not that it’s all about the clothes (although, really it is), but many of the older anniversary releases came with not just one outfit, but multiple. Often two, sometimes more. While the newer released anniversary dolls don’t tempt me as much, I would love to get my hands on Art Attack one of these days – with every single one of her individually boxed outfits. Who’s your favourite anniversary doll? Do you own any? QOTW: If you could design the anniversary doll…?